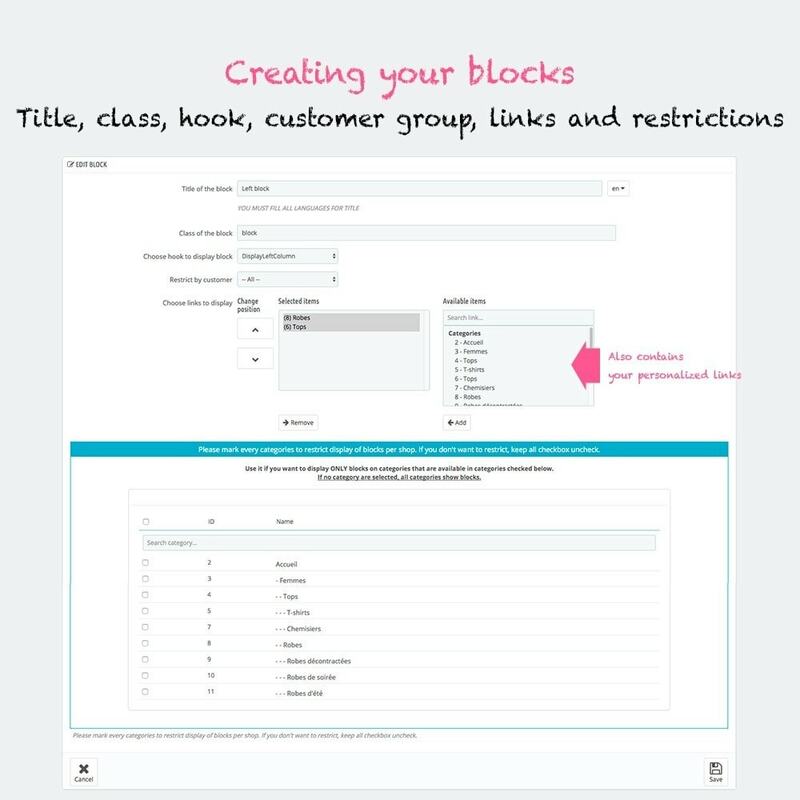 This module allows you to add category or custom link blocks based on the displayed category and the customer group. You finally have control of your links to improve the navigation of your customers. 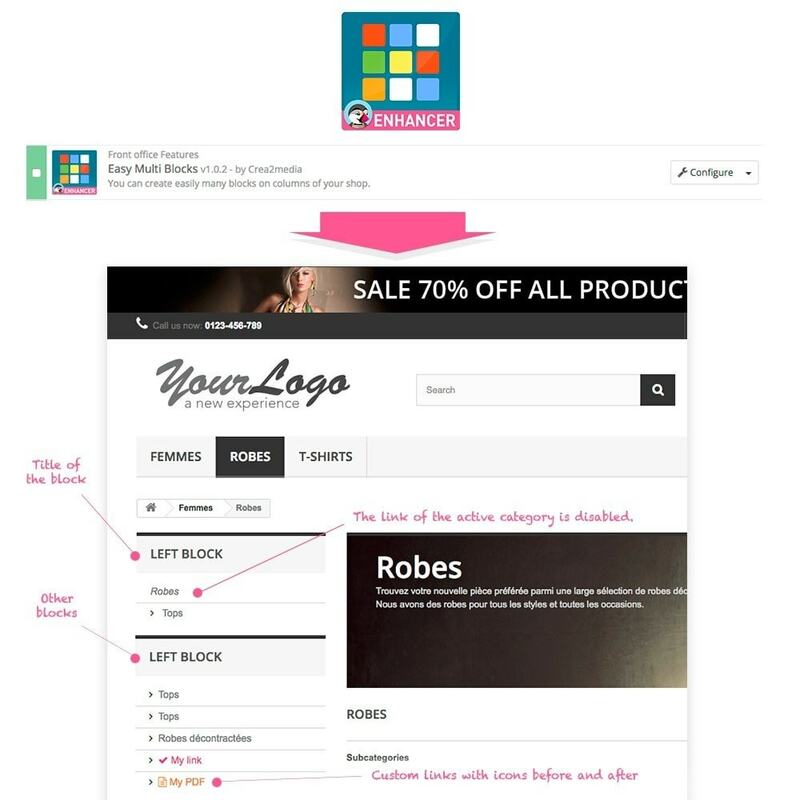 Want to have control of the links that appear in the columns of your shop? 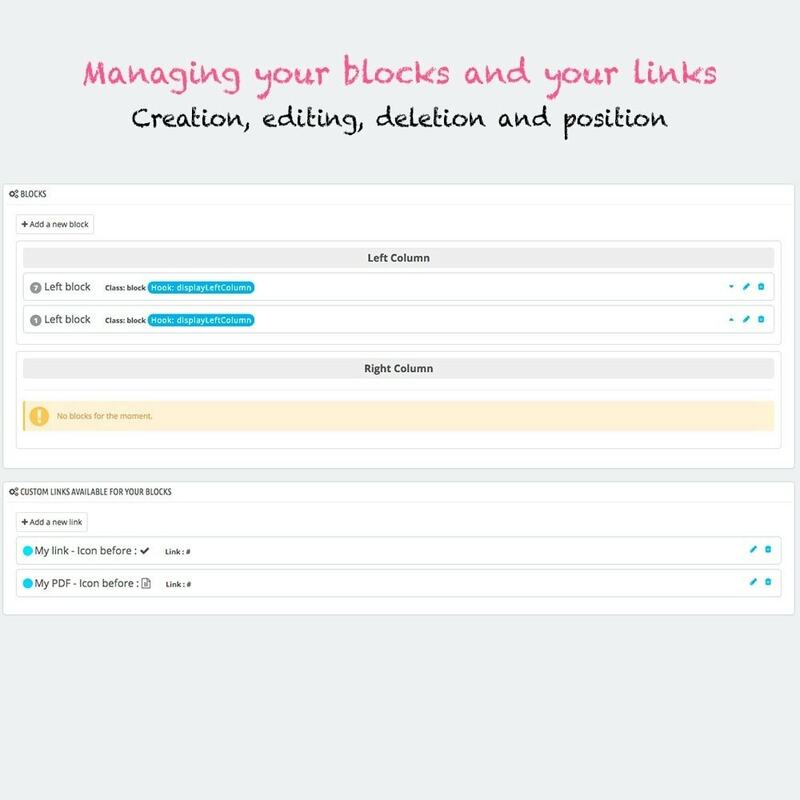 This module is for you, it will allow you to add as many blocks of links as you want and especially to filter its display according to the category displayed. Ability to hang your blocks on the left or right column. 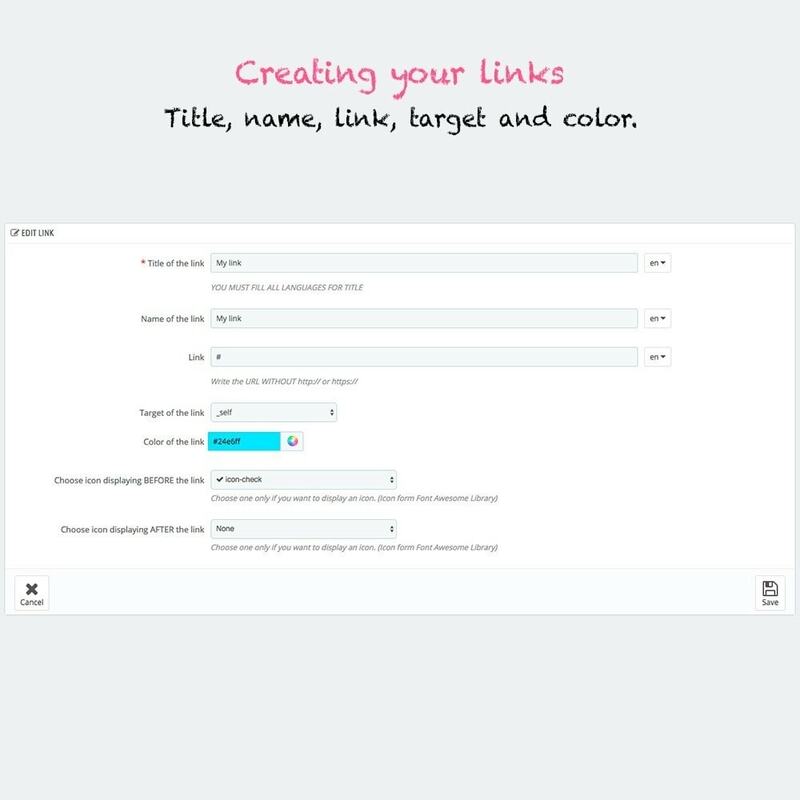 Custom links are fully customizable : target, color, title, name and link. Do not forget to configure the module after installation. Very simple installation without overload. Multi-store compatible.